Guys are not easy to be pleased when it comes to gift-giving. 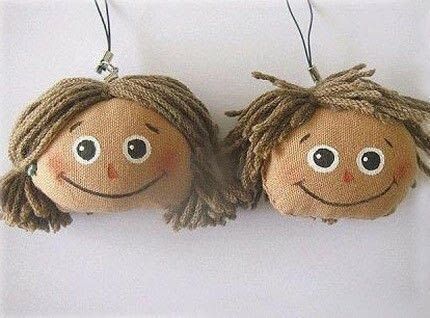 Have you ever thought of DIY crafts for your boyfriend? He will never disappoint when he receives an elaborate gift made from his loved one. Crafts for your boyfriend are easy to be made as long as you are willing to give. The best way to solve out the problem is to pay much attention to his daily necessities. Our cute homemade gifts for your boyfriend have just made a kind of homemade cellphone pendant which is quite suitable for young couples. Let's see how it looks like together. 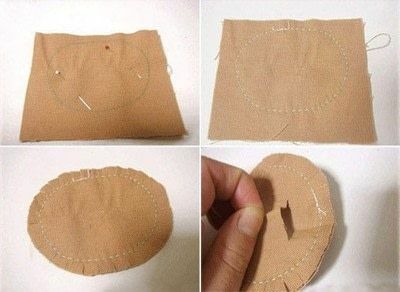 Cut out the two pieces of square fabric; trace a circle on the first square. Sew the two squares with running stitches around the circle. Cut out the circle from the square; leave 2cm space out for seam allowance. Cut a small opening on one side. Turn the shape inside out through the small opening. Fill the shape with quilting; obliquely stitch the small opening. Roll up a few of yarn and bind. Sew the yarn to the cover the oblique stitches. 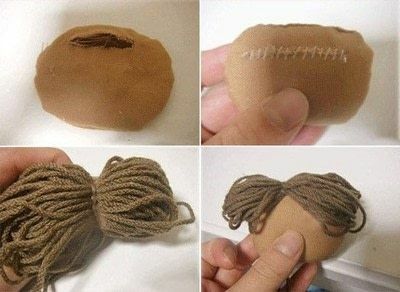 Cut the yarn short enough to a length of a boy's hair. Do the same to make the other head with long yarn; depart the yarn of both sides; make the hair droop to two pigtails. 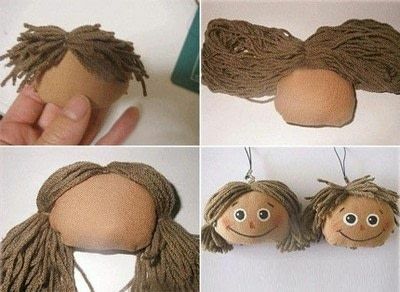 Make eyes with circular felt and glue; draw the eyebrows, nose, mouth and cheeks at corresponding place. Add the cord loop with jump ring to the middle of the head.